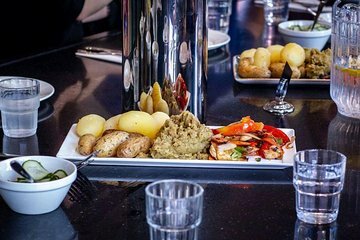 Get a local's perspective on Oslo's exciting food scene, and go off the beaten path, on this food tour. Hear from your guide about the gastronomic revolution taking place in the Nordic food scene as you walk from the city center to the trendy district of Grunerløkka. Along the way stop in at several different eateries and sample a handful of tastings of local-favorite dishes including seasonal meats, seafood delicacies, and a few drinks.